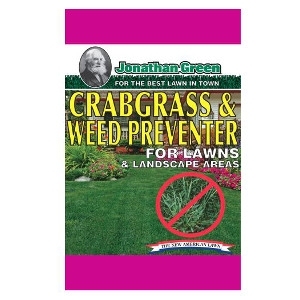 Crabgrass & Weed Preventer provides superior control of crabgrass and other grassy weeds. Contains Dimension® for season-long control. Does not contain fertilizer. For use on cool and warm season grasses to control or suppress many annual grasses and broadleaf weeds. Can be applied up to four weeks later than other pre-emergence crabgrass preventers. Labeled for use on over 100 ornamentals.